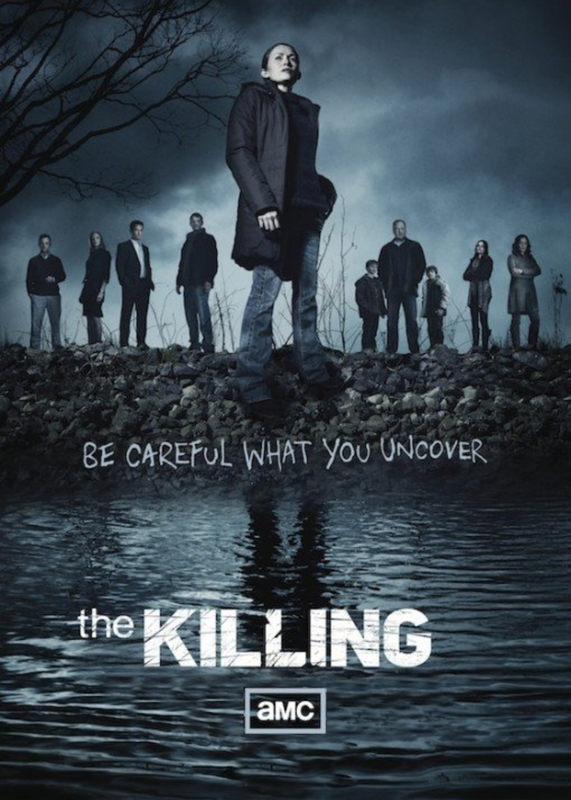 Bex Taylor-Klaus, an 18-year-old newcomer from Atlanta has come to LA and landed the very edgy role of Bullet on the new season of The Killing, the AMC hit that is returning for its third go-round. To characterize the role as quirky is an understatement, and it will be an instant attention grabber. Bex is repped by Thomas Richards at the Corsa Agency and Susan Curtis of Curtis Talent Management. That’s right, folk, Bex got a gig! A really good gig! But let me back up. It’s definitely hard to capture, in words, the intensity of the last few weeks. I’ve always said that Bex lives fully on the edges of life – the highs are high and the lows are low. The last couple of weeks resemble that remark. Here’s how the drama played out. A couple of weeks ago, things were a mixed bag in LA land. Life was rocky at school, the dastardly sinus infections had returned…but the auditions in 2013 were consistent, and Bex was doing great — with about 75% of her auditions leading to call-backs. Two weeks ago, I surprised Bex on a Friday afternoon. Sometimes, David and I realized, a kid just needs her mama on the ground. I was in her apartment when she returned from her call-back audition at “The Killing.” She was pretty excited. After the first scene, someone had said, audibly, “whoa!” After the second scene, she heard it again, “Whoa!” Apparently, that’s not very common in LA casting rooms. In less than an hour, the phone rang. Our manager, Susan, called so say, “they loved you.” Nice way to start the weekend, for sure. The next day went as a typical LA Saturday might—Acting Class on Sat. morning with Loren Chadima, a Beach Party for Bex in Santa Monica on Sat. Night. But Sunday morning, Jan. 27th, was the start of something special – it was the official start of Bex’s professional career as a working actor. Her first paying LA job was a table read of Larry Carpenter and Shane Alexander’s The Freedom Machine. And she absolutely LOVED it. She was comfortable, in her element, and attentive to her craft. While it was purely coincidental that I was in town for her first gig, it was a treat to be able to be there to celebrate the milestone. Who knew that it would just be the icing on the cake that was my trip! On Monday, things started to hop, and they’ve been jumping ever since! First, we learn that Bex is the top pick for the part of Bullet. Somewhere between medical appointments and a commercial call-back audition, Thomas and Susan tried to explain what was happening – and what the process would be from that point forward. Apparently, the studio had approved Bex for the role, and now it needed to go to the network. It wasn’t a sure thing, but she’d never gotten this close, before… and it was possible that she was the only real choice for the role. If she got the role, she’d have to live in Vancouver for the filming. WOW! Meanwhile, I have a meeting with the Head of School at Bridges, Carl Sabatino, to try to figure out how to help Bex finish High School successfully. With this new possibility of Vancouver on the horizon – and no permission to talk about it freely, much less count on it – it definitely required some creativity to figure out how to academically play to Bex’s strengths (Bridges’ mission)! Carl was incredibly helpful and receptive, and we set a plan for him to meet with the Academic Dean and Bex’s guidance counselor to figure out what it would take to help Bex finish school. Just 3 ½ credits shy of a diploma, its amazing what a distance that can be! But they figured it out, and Bex is excited about doing an Independent Study of “Inside the Actor’s Studio.” Now THAT’s what I call setting her up for success and making her learning applicable to her career! The week was spent with negotiations, and waiting, with occasional calls and check-ins along the way as Thomas and Susan busily negotiated a contract with the network. I wanted her to have a tutor so she could finish High School – not guaranteed, because she’s 18 – but we can try to work it out when she got there. What about attending her High School graduation? Will depend on filming schedule. Back and forth all week — constant state of heightened anxiety. Auditions continued. Friday night we got a call saying the negotiations were complete. WOW. Contract arrived, but we were told to wait until Monday – there could be a few more improvements. The contract and its addendum covers all sorts of things, like specifying her “first-class” dressing room (and its appointments), and airline tickets, and use of her image, and how her name will appear on the screen, etc. Lots of nuance. We are Incredibly GRATEFUL for Thomas and Susan! Not only did they negotiate a great arrangement for Bex, but they did it with a clear understanding of where she is in her career (she’s new at this and needs to pay union dues and join the union! ), and where she’s going (what happens now will influence what happens on the next contract). The negotiating process is fascinating, for sure. This was an exceptional situation – Bex is always the exception, not the rule – because it was pretty apparent that Bex was really the person they wanted for the role. But since she’s got no credits, it made for an interesting dance! Monday we were all atwitter – should we sign what we’ve got? Should we wait? THEN, we find out that the next step is NOT to announce it to the world and dance on the roof-tops (much to our surprise!). Now, we have to wait for the network to accept the contract. Meanwhile, Bex started to get upset that they skipped the screen test. She was having a hard time believing that they would skip that process, so she didn’t think it was really real. YES! She was “the one” the minute she was done reading for the part. There was no more to be said. If it was questionable, they would have had her test against others. EVERY ONCE IN A WHILE it happens like this, usually when one sets themselves sooo far apart, and they are spot on for what they are looking for. Behind all the hard work that she did on the scene, it was also, simply put, a blessing and some luck !!!! this was “OUR BREAK” !!!!!!!!!!!!!!! PLEASE GET HER TO FOCUS ON OTHER AUDITIONS! If you know anyone in Vancouver, PLEASE let us know! Bex is going to need a (Canadian) village, as the filming starts Feb. 25! So very exciting for Bex and the whole family. We look forward to watching her on television!! This is so beautiful to read – nothing makes me more thrilled than to see someone’s dreams come true:) My parents live in New Westminster, one of the MANY subburbs of Vancouver. My mom is an ex high school teacher and LOVES unique, strong young ladies, so if she needs support and I absolutely know my mom would be there for her.